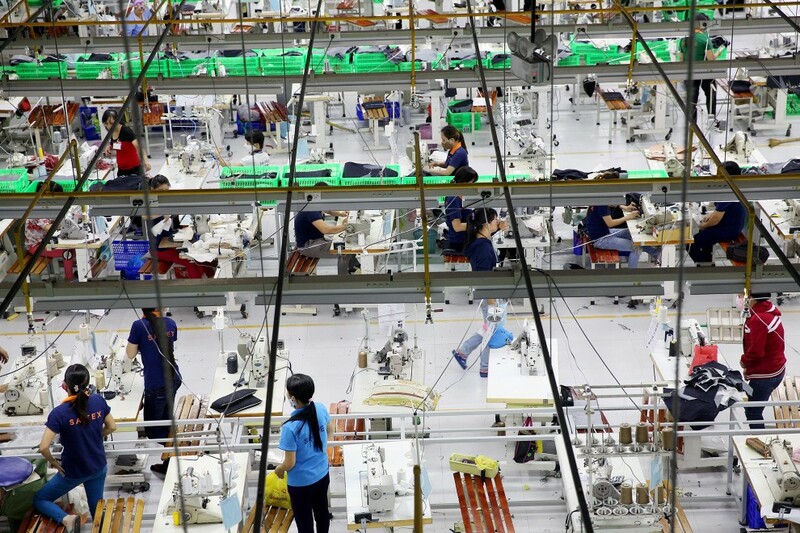 The main production floor at denim detailing company, Sai-Tex, located outside of Ho Chi Minh City. It is using cutting-edge technology and innovative business models to minimize the harmful footprint of textile manufacturing. November, 2014. 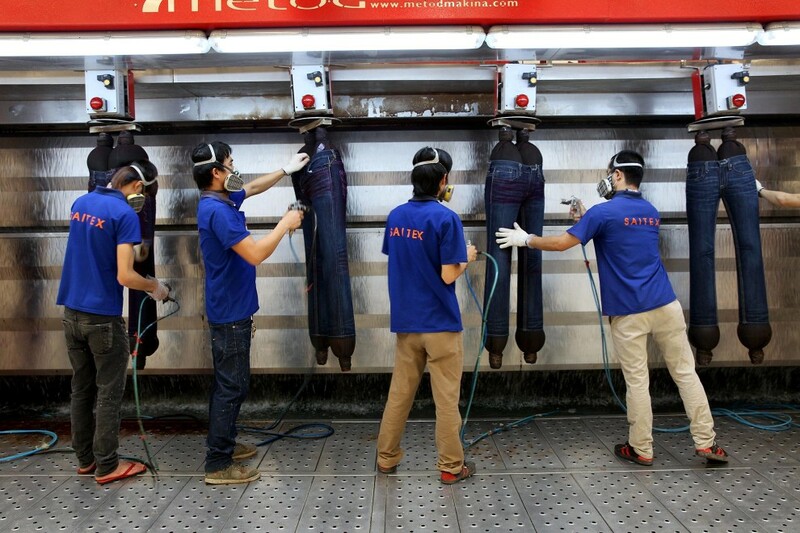 Workers apply coloured spray to jeans at denim detailing company, Sai-Tex, located outside of Ho Chi Minh City. 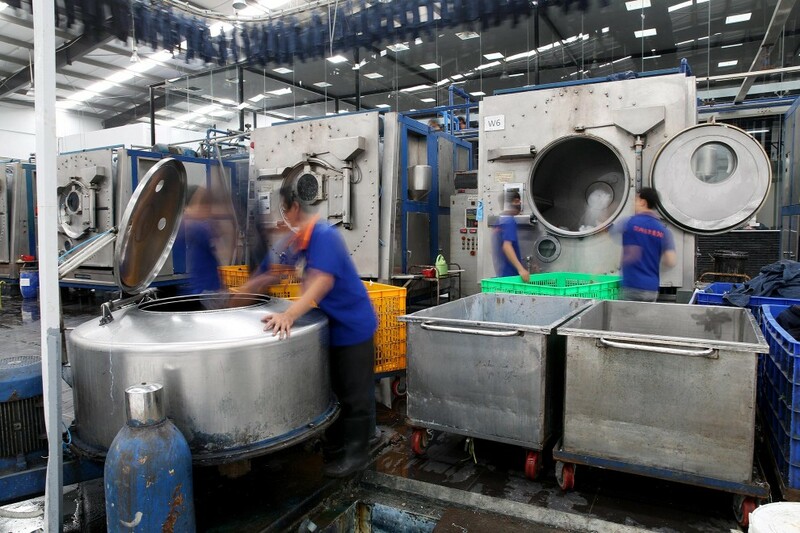 Workers operate large washing machines at denim detailing company, Sai-Tex, located outside of Ho Chi Minh City. 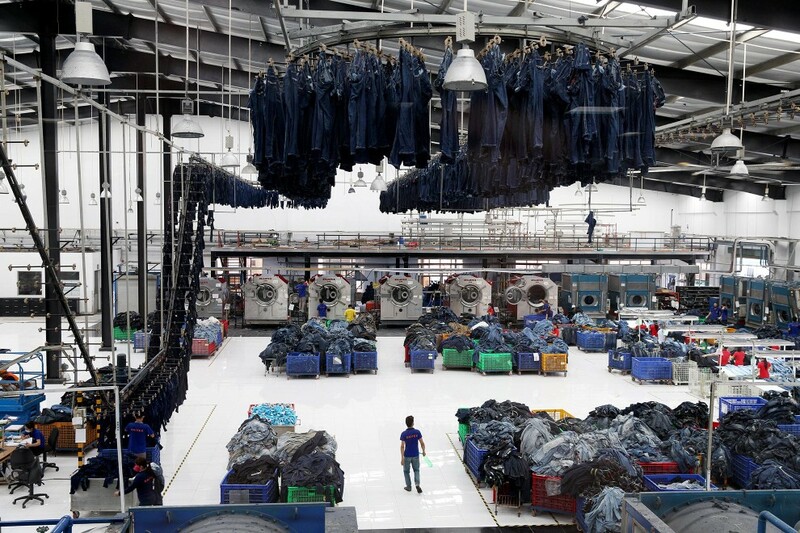 Workers hang jeans onto a large conveyor belt that naturally dries items at denim detailing company, Sai-Tex. 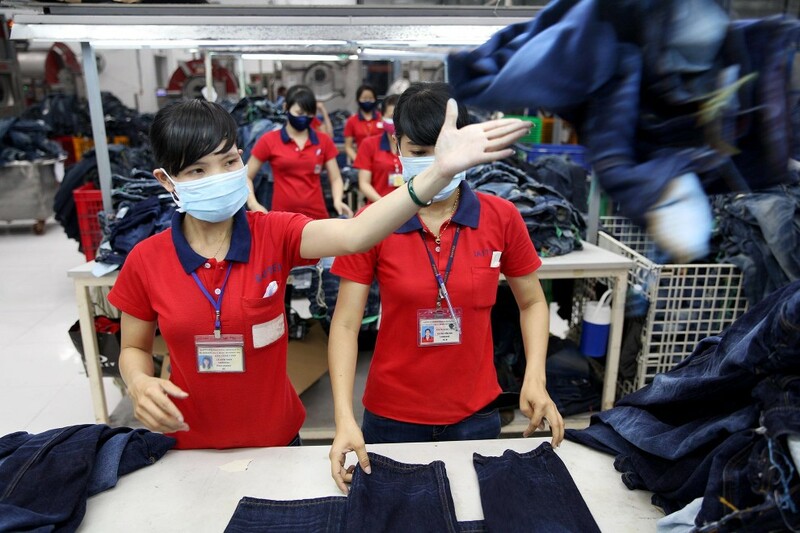 Workers sort through jeans at denim detailing company, Sai-Tex, located outside of Ho Chi Minh City. 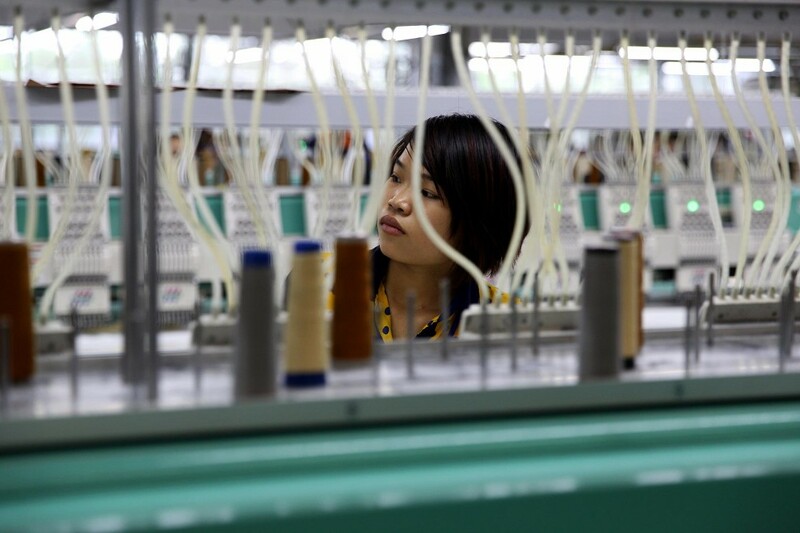 A worker in the main sewing room at denim detailing company, Sai-Tex, located outside of Ho Chi Minh City. Workers in the main sewing room at denim detailing company, Sai-Tex, located outside of Ho Chi Minh City. Pieces of denim lying on the floor in the main sewing room at denim detailing company, Sai-Tex, located outside of Ho Chi Minh City. 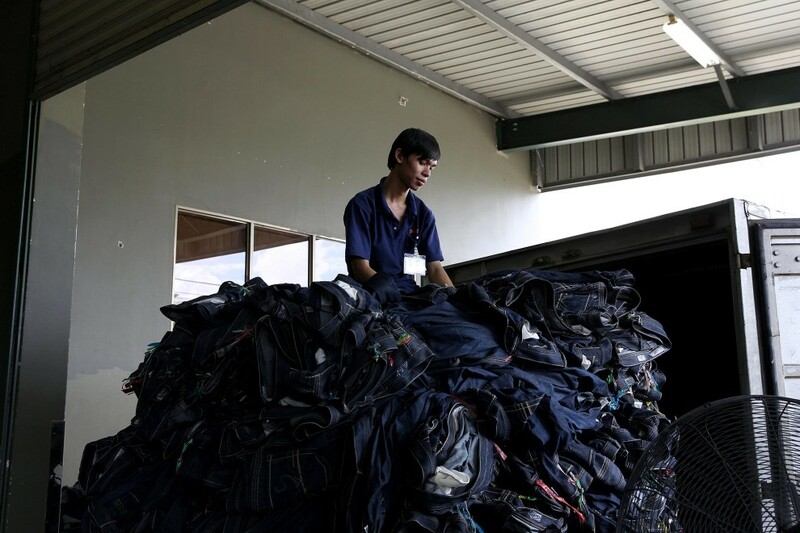 A worker sits on top of a huge pile of jeans that are about to be transported at denim detailing company, Sai-Tex, located outside of Ho Chi Minh City. 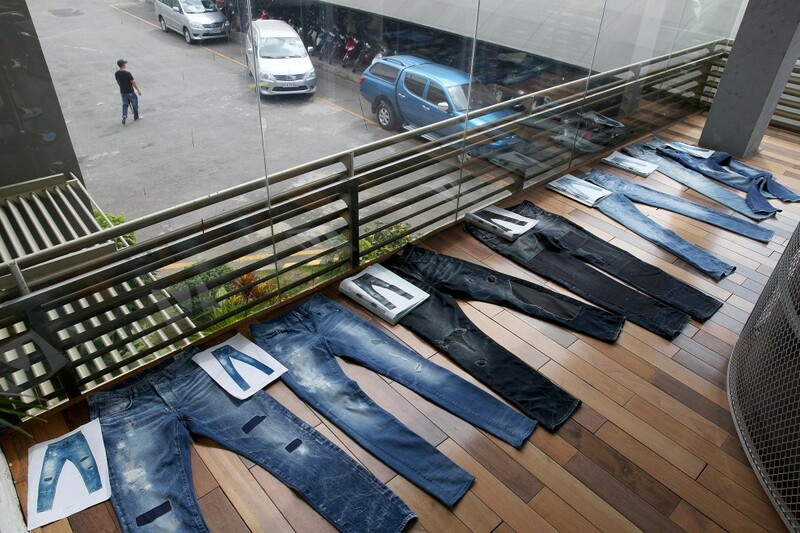 Jeans on display in a showroom at denim detailing company, Sai-Tex, located outside of Ho Chi Minh City. 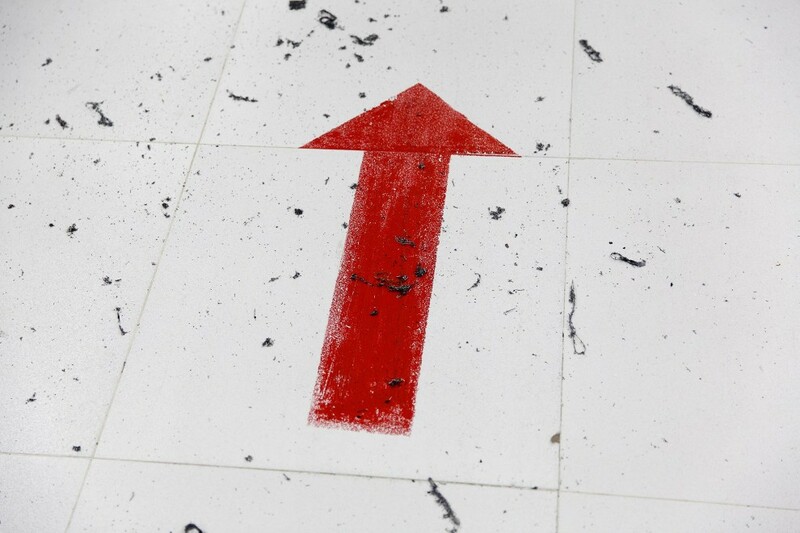 Can the country become the next major player in the global apparel industry without sacrificing its environment? 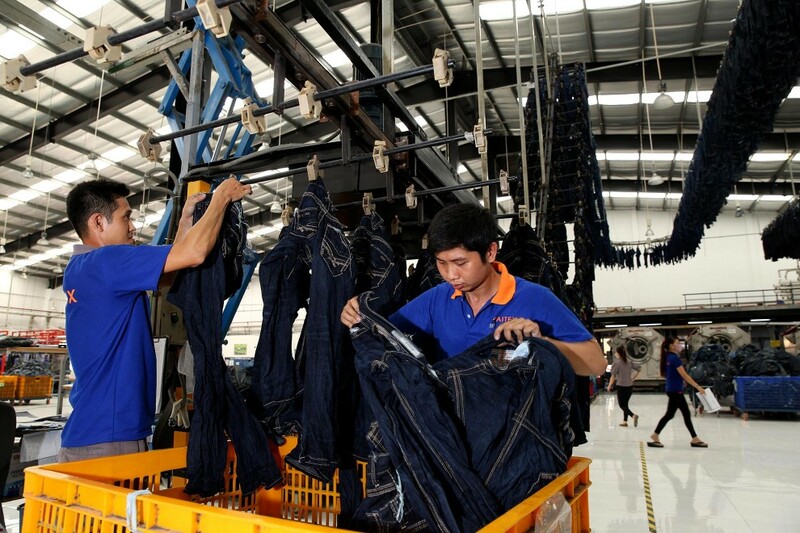 Near Ho Chi Minh City, one factory owner is assembling a greener model…out of blue jeans.